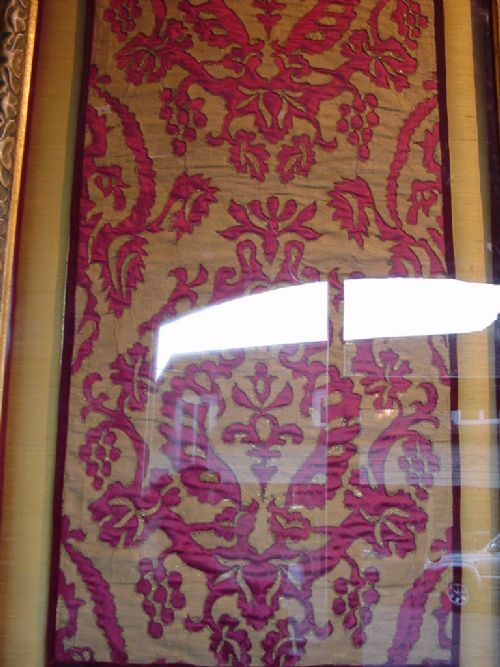 A pair of Italian cut silk on damask lengths. 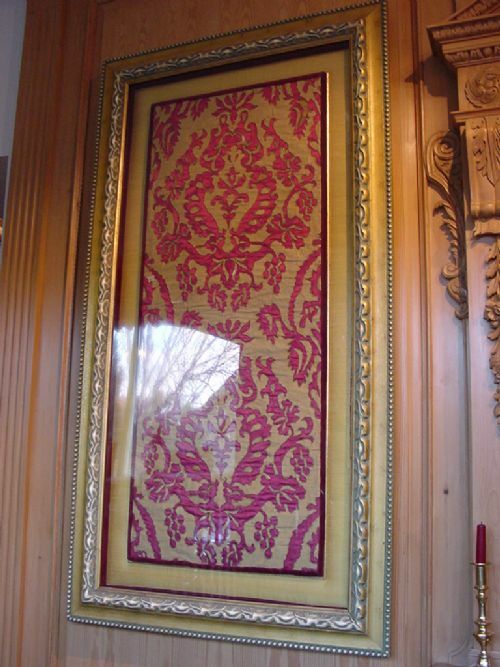 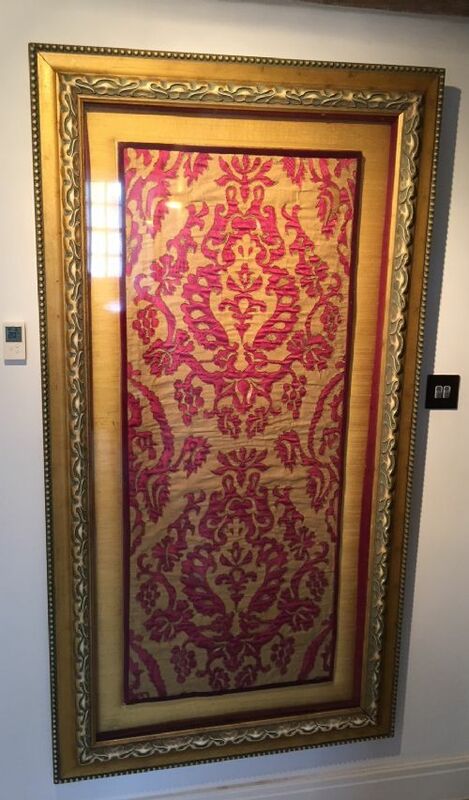 The 18th century gold cut silk reapplied to 19th century red damask on later silk mounts in later frames. 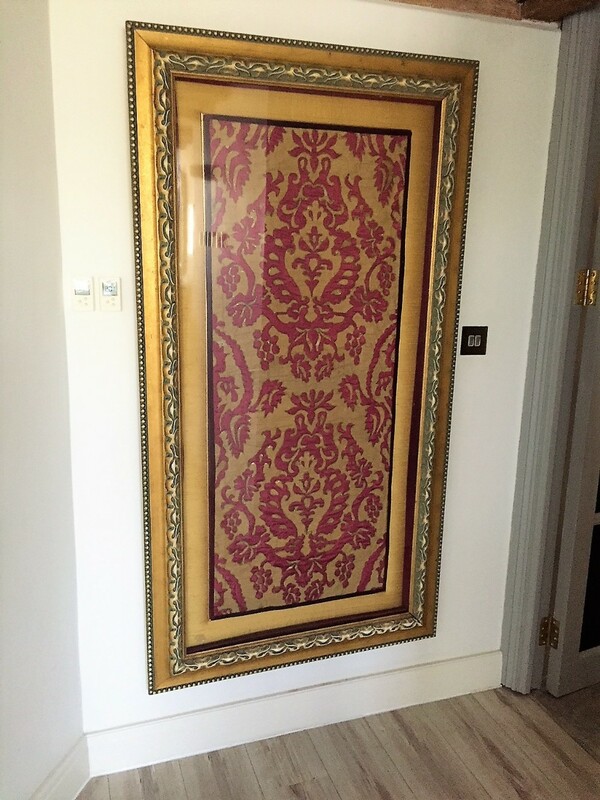 The Pair of framed Italian cut silks on damask has been added to your saved items.